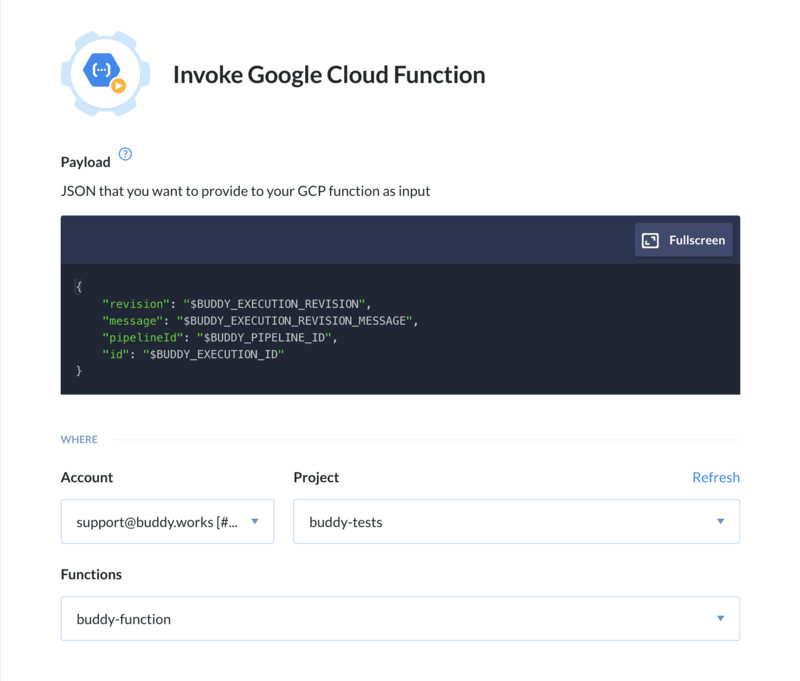 With Google picking up the pace in serverless computing, Buddy doesn’t lag behind delivering two new actions that will let you deploy and invoke GCloud Functions. In short, Functions act as application backends with no server provisioning or management, which is especially good for projects whose traffic patterns are hard to predict. They are event driven, which means they’re executed only when cloud events occur. Click here for a brief review of Google integrations available. 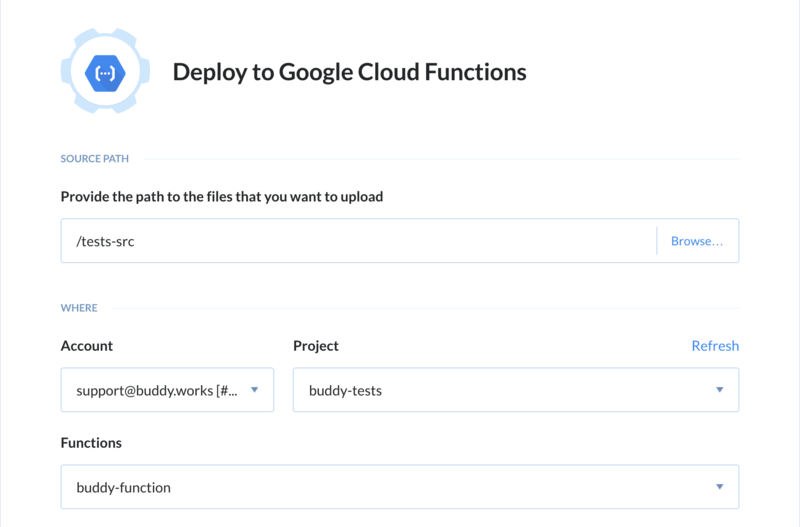 In the meantime, we also added support for Google Cloud CLI commands, Google CDN cache management, and Firebase deployments. Buddy is 100% customer driven. If there’s a feature or integration you miss, let us know in the comments below or directly at support@buddy.works.